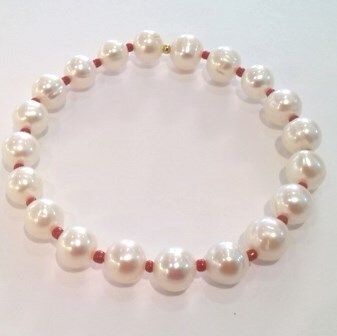 A lovely bracelet of white 8mm pearls and tiny red coral spacer beads on stretchy cord. The standard length is 8 inches. 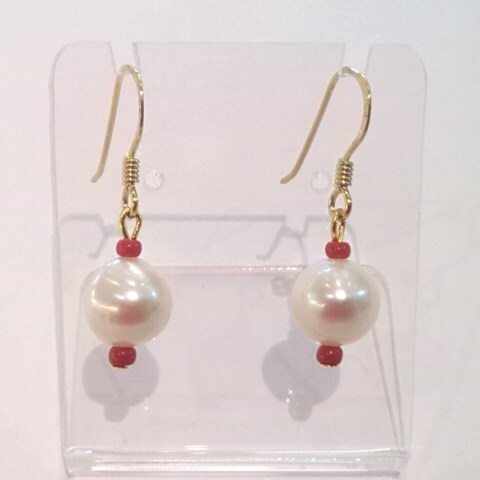 If you'd like a different length or a clasp, please e-mail and we'll make it for you. 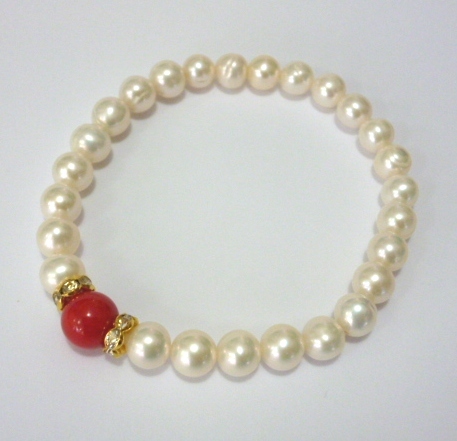 Your bracelet comes in a pretty and practical silk purse or a handsome gift box. 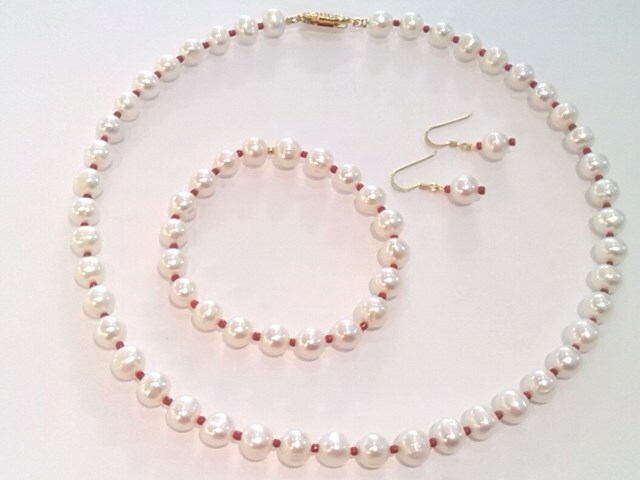 Please click here to see the matching necklace, or here to see the matching ear-rings. 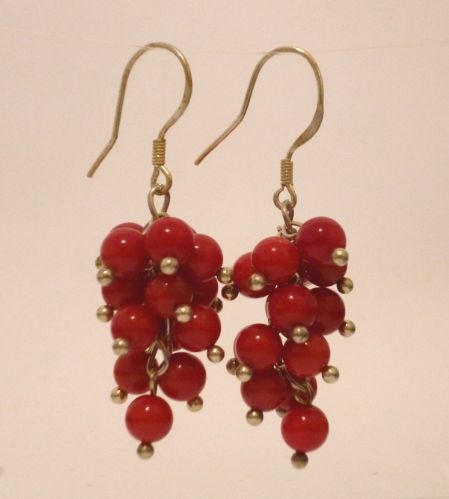 Red Coral and Shamballa bead drop ear-rings on silver posts.